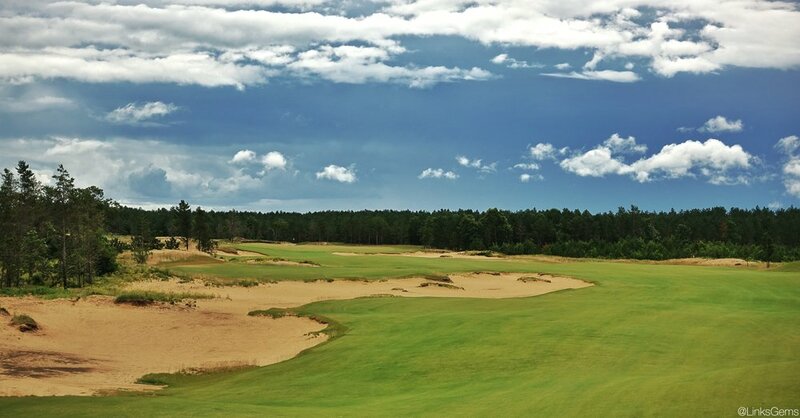 This week we take a look at the long par four 6th at Coore & Crenshaw's Sand Valley. 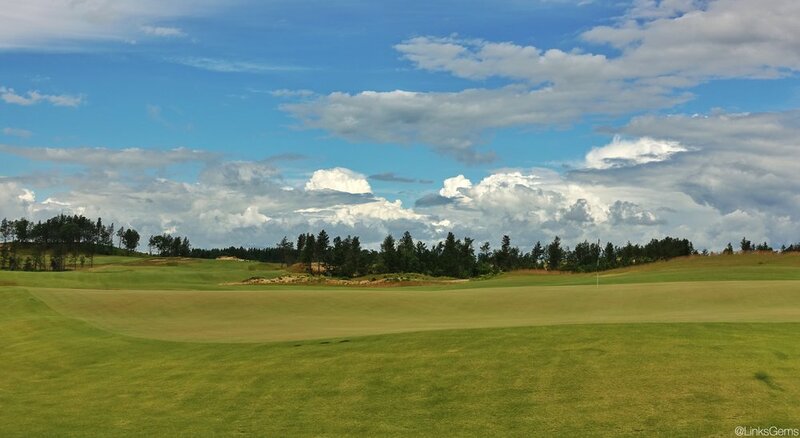 The hole comes after the dramatic downhill par three 5th and lays across one of most flat portions of the property. 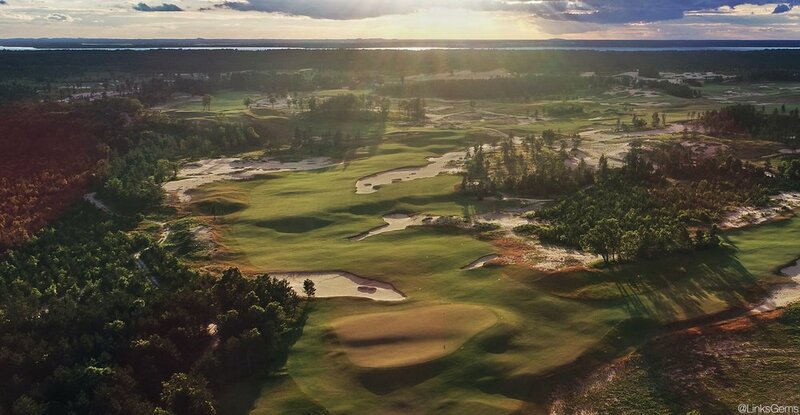 The hole's interest comes from strategic bunkering, an angled fairway and a stellar green complex which together create a plethora of options. Off the tee - A great deal of decision making comes on the tee box with the fairway which cuts on a slight diagonal and has sand on either side. A 40-yard wide finger extends to the left creating an expansive target for players to hit. Depending on the tee box, the finger ends roughly 225-265 yards from the tee box. Playing to the finger is the safest, most direct route to the green and provides a stellar angle to attack. The drawback is that it leaves a mid to long iron approach shots to the challenging green complex. Playing right off the tee allows for a longer and more aggressive tee shot that will gain a shorter approach. The sand on either side of the fairway continues to pinch the fairway with every additional yard. Playing driver up the right requires a great tee shot to avoid the bunkers on either side. The green - Following the thought-provoking tee shot is the approach to the 6th's unique green. It is long and has two distinct sections, the front, and the back. The front half plays like a crowned plateau, repelling balls that are just short, left, right or long. The front pin offers a tough approach from every angle. While the left side is a longer approach, it does allow for a running shot to come in. Those who play right are forced to utilize the aerial game. The back half of the green runs away and has a few bowl-like features. 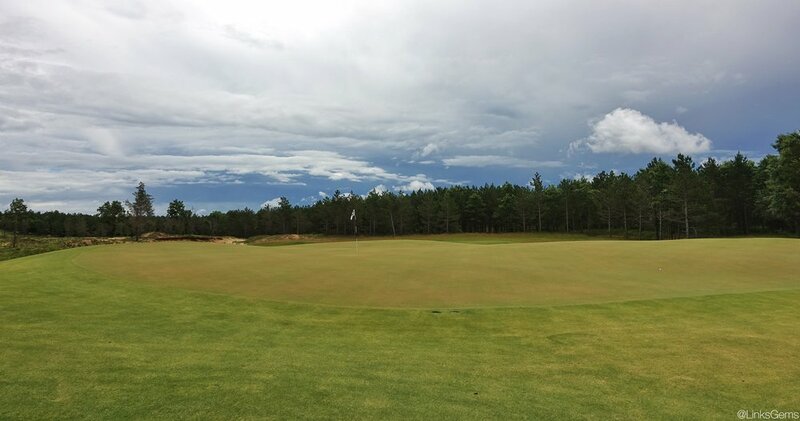 The depth of the putting surface makes a back pin challenging for those who play left because of the added distance. A good tee shot to the left side can have approach shots of 200 yards or more to a back pin. Meanwhile, when the pin is back, the aggressive player is rewarded with a wedge or short-iron approach to a receptive portion of the green. It's beautiful architecture when the proper way to play the hole is a challenge to decipher. I've played the 6th four times in person and thousands of times in my head and the proper strategy remains an unsolved puzzle.